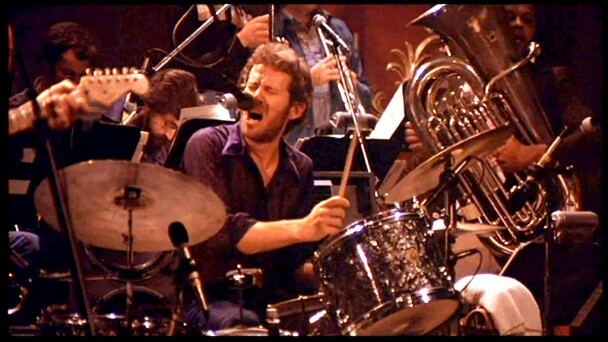 As well as offering up a 1974 bootleg of the Band in concert, I’m also counting down my top five Band covers to mark the passing of the legendary Levon Helm. Although written by Bob Dylan, ‘I Shall Be Released’ first came to widespread attention on Music from the Big Pink, it was only later that a version with Dylan’s lead vocal was released, on his Greatest Hits II. This cover is taken from the extended edition of Jeff Buckley’s Live at Sin-é, released six years after his death in 2003. Released on The Basement Tapes and Music from the Big Pink, this Bob Dylan-Richard Manuel co-write doesn’t always get the love it deserves. However, former Byrd Gene Clark poured all his love into it for his 1971 solo album White Light (also called Gene Clark as there is no other words on the album cover). Miranda Lambert, John Mayer with Keith Urban, and Gomez have all covered this 1969 classic. However, they pale in comparison to this version. When not touring with his Band, Dave Matthews often sidelines with his “Friends”, mainly the musicians he rounded up for 2003 solo album Some Devil. Trey Anastasio of Phish provides the classic guitar motif, with Dave on vocals. The 2004 Bonaroo performance is their best attempt, rather than this video, and can be found floating around in bootleg mp3 form. Taken from the 2009 rock documentary It Might Get Loud, ‘The Weight’ sees the trio perform an acoustic version of the 1968 Music from the Big Pink classic, known to many as “Take a load of Annie”. Jack White takes lead vocals on the tune, which works very well due to his narrative style of singing. I’m a big fan of the Joan Baez version of ‘The Night They Drove Old Dixie Down’, but I’m a much bigger fan of Johnny Cash’s take on the 1969 tune. First released on his 1975 covers record John R Cash, this excerpt is taken from Johnny’s 1974 documentary Ridin’ the Rails, where he presented a history of the great American railroad.